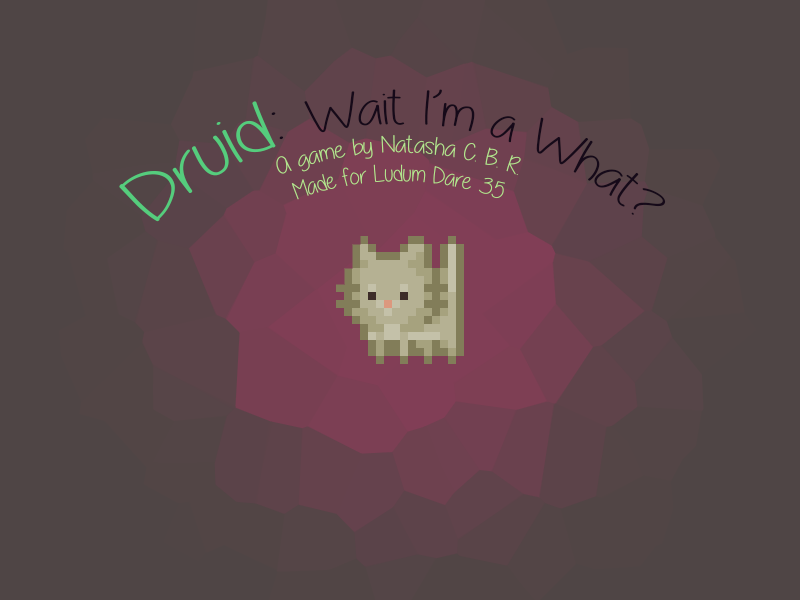 Druid: Wait I'm a What? In this game you play as a druid who's lost his spells. You now need to try and survive in an arena with mysterious enemies. The game was created in 48 hours for the Ludum Dare game jam number 35. The theme for this game jam was Shapeshifting, hence the druidic theme of the game. Arrowkeys for movement, spacebar for attack.